Create a unique picture book, zine, comic or graphic novel with your own artworks and original story. 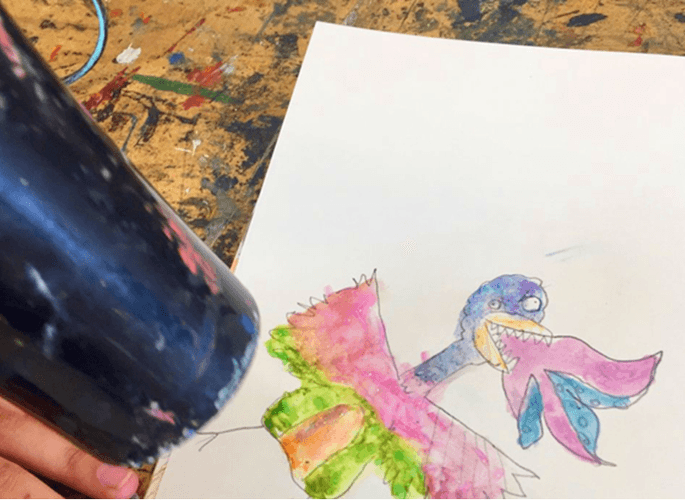 Bringing together writing and watercolour, inks and markers you will create your own characters, placing them in a setting and building a story around them. Finish this class with a completed image based book or continue the story adding more to your words and pictures. Ages 8 to 12. Class 12 max.